Dremel rotary tools allow their users to work with a wide range of materials. From metals and wood to fiberglass and plexiglass, Dremel rotary tools can handle the job quickly and efficiently. 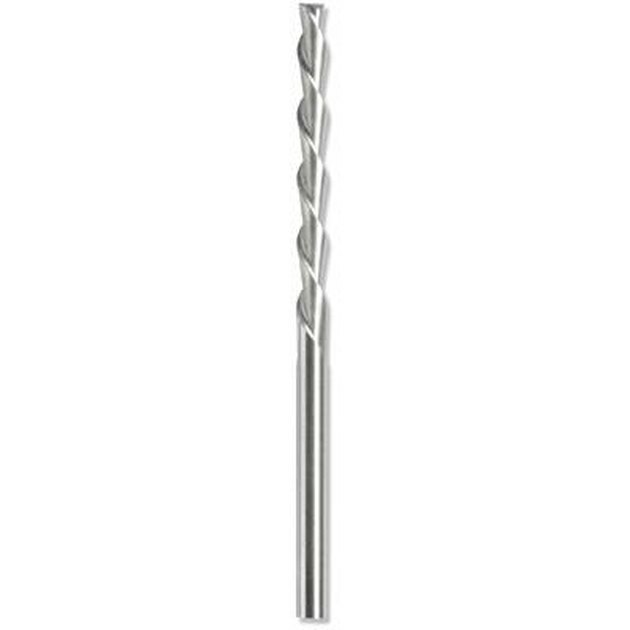 Dremel rotary tools cut material at very high cutting speeds (from 10,000 to 35,000 RPMs) so the cuts are high quality and are considered a fine finish. With a steady hand, you can cut a straight line or any other shape you would like. Unplug the Dremel rotary tool if it is plugged in. Loosen the collet and insert a 561 multipurpose cutting bit and tighten the collet with the wrench. Plug the tool into a power supply and set aside. Mark the plexiglass where it needs to be cut. If the cut needs to be straight, use a straightedge as a guide, clamping the straight edge to the plexiglass so it does not move. If you will be cutting the plexiglass freehand, do not use any cutting guides. Turn the tool on to 6 or 8 and begin the cut. Dremel recommends that you start at a 45-degree angle when cutting into a piece of material. This will maximize the blade exposure to the material. Complete the cut as needed. Remove the cutting bit from the tool and blow any material cuttings off of the tool with an air compressor.